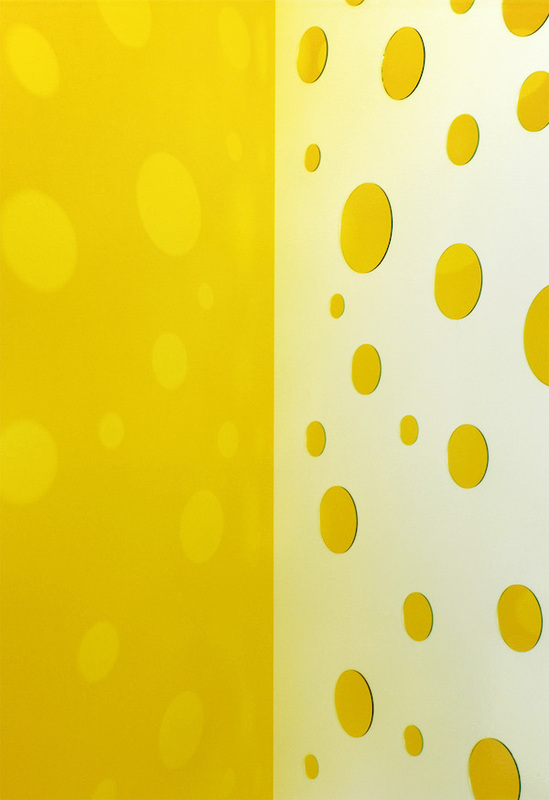 Jacky Redgate, ‘Light Throw (Mirrors) Fold – Yellow and White’, 2018. Chromogenic photograph handprinted, 185 x 127cm. Courtesy: the artist and Arc One Gallery, Melbourne. For more than two decades Jacky Redgate has worked with mirrors and objects in her studio, exploring abstraction, light, space and reflection with remarkable photographic and sculptural outcomes. Perceptual systems such as linear perspective and Cartesian geometry and optics, which structures two-dimensional space into a simulation of the three-dimensional world, are a frequent motif in Redgate’s work. In this exhibition Redgate extends her acclaimed and ongoing studio photographic series, Light Throw (Mirrors) commencing in 2009, with fresh experiments and revelations. Whereas the irony of her earlier Light Throw (Mirrors) works (2009¬ ¬–) was that there are no mirrors in the photograph – we only see their projected light and objects floating on surfaces. Commencing in 2013 the artist elaborates the studio set-up by physically folding the prop that she rebounds light onto, later placing mirrors on its folding surface. Then in Unfold 2016, Redgate attempted to escape the visual vortex of her screen, breaking the symmetry of the fold and discarding the mirrors. In this new series Redgate returns to the fold and mirrors, systematically rotating different primary coloured panels that mix colour across either side of the fold, as well as recycling the mirrors that rebound light from a battery of multiple flashes. The viewer is confronted by a flattening of space and a shimmering optical effect from the material construction.